Joshua Simon Goes Emotional For New Single "Paradise"
After releasing well-received tracks like ‘Until We Die‘ and ‘Geniuses & Thieves‘ from his two albums, Gentle Bones is making waves yet again with his latest single ‘Shifting Over‘. Inspired by the balance between selfishness and selflessness in love, the electro-pop track’s music video was exclusively released through Billboard Philippines earlier this month. 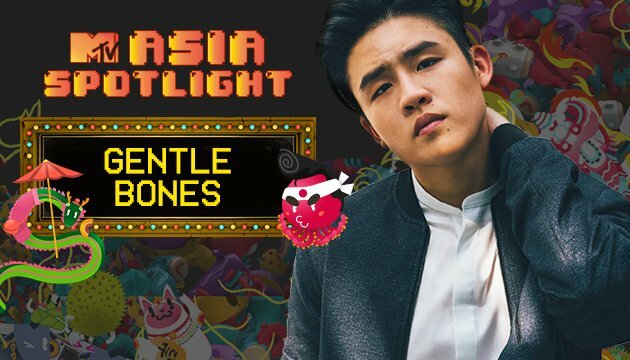 Besides being nominated for the 2016 MTV EMA for Best Southeast Asian Act, Gentle Bones, also known as Joel Tan is MTV ASIA SPOTLIGHT artist for the month of October. The singer-songwriter will be sharing more about his moniker, music videos that inspire him as well as his own journey as an artiste – from starting out online to where he is today. Popspoken speaks to the man himself about the local music scene, and the Singapore educational system itself. 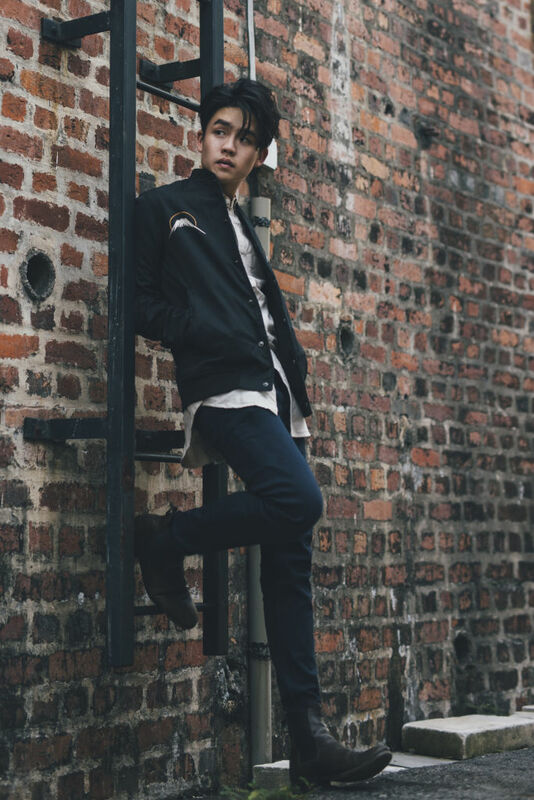 Popspoken: Firstly, congratulations on being the MTV ASIA SPOTLIGHT artist for October. Are you surprised by this opportunity? Thanks! It’s incredible! They had Yuna on for their first month and I’m terribly honoured to have been pulled in for the second. I had an extensive talk with them and performed my new single ‘Shifting Over’ live. 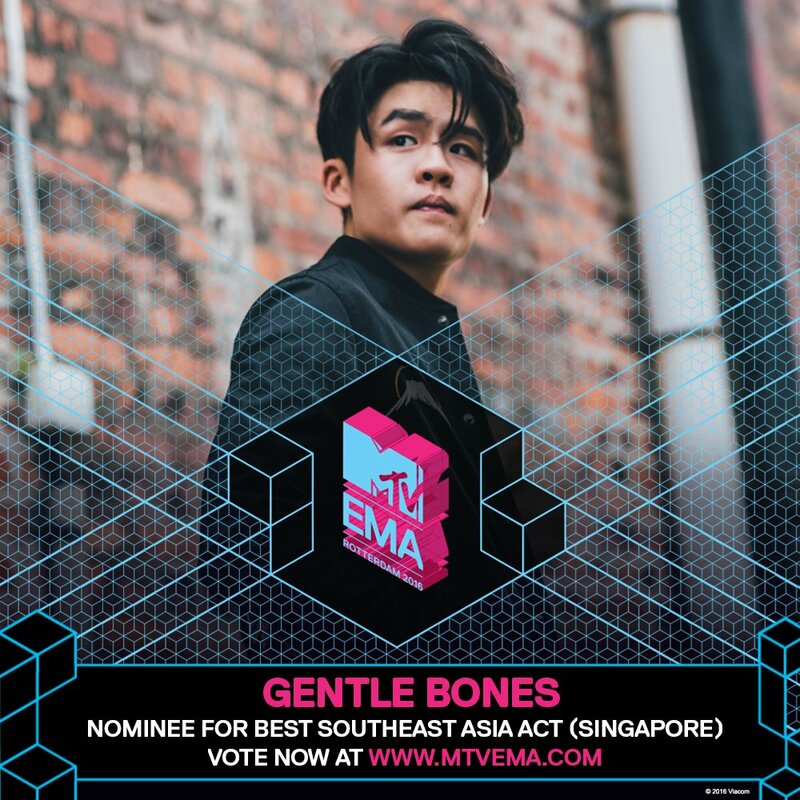 PS: Also, you are nominated for MTV EMA Best Southeast Asia Act alongside Yuna and Sarah Geronimo. How does it feel to have your name out there, and to be recognised on such a global platform? It’s very surreal to be honest, I’m just happy to be among these great talents. MTV EMAs are a huge thing to me as I would watch the programme growing up. PS: Do you think this is the start of the global audience as well as more locals being interested in local music? I really hope so! 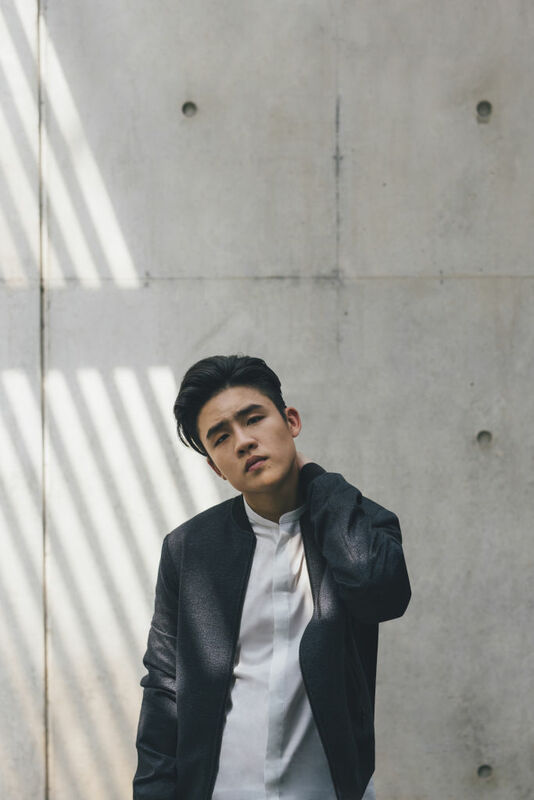 I believe Singapore has something very special to offer even when it comes to our art and acts like Linying prove, very much so, that the world is indeed looking towards Singapore for music from time to time. PS: If you can ever collaborate with any international artiste (musician, visual artist, performer), who would it be and why? Everyone that is on my music playlist right now. PS: Now that you have two EPs out, which direction do you think your music will take in the near future? What sort of exploration are you doing musically? I want to explore as many things as possible. I am in love with the art of creating and working every day to truly find my voice and sound. PS: How do you feel about being able to perform for the Asia Song Festival in Korea. What do you look forward to over there besides performing? Anything you would love to do or experience? It is truly an honour. We’ll be headed to Busan for the Festival and Seoul for a show! I look forward to soju! I haven’t tried that before but have heard good things. PS: Any other festivals you would love to perform for on your bucket list? Glastonbury is definitely the dream festival but I’m down for any festival possible! PS: What are some must-haves in your luggage when you go on tour? Earphones, toiletries, and Chinese herbal remedies. PS: How is it like pursuing your university education as well as your music career with a label at the moment? I am putting school on hold for now in order to fully immerse myself in music and the production and tours that come along with it. PS: Share with us what should be taken into consideration to take the road less traveled. Be passionate and have close friends who are both honest and sufficiently aware of the nature of your industry of interest. PS: How has this developed your perspective of growing up or insights you have gained, since you probably have a very different experience from other people your age especially in Singapore? With a system comes rigidity and paired with competition can lead many who may lag behind to feel that they’re less. I met a whole new world of people when I started music, who shared the same passion, and realised that it really isn’t about keeping up with people (of your age or of your batch in school). Sometimes maybe growing individually in a place and at a pace that will maximise your potential is a better route for some. PS: What do you think makes the Singapore music scene different from other places in the world? We are diverse and musically so individually influenced by our culture, friends and internet habits that I believe that we have a band for every possible genre in a small island nation. PS: Do you have any philosophy of your own in making music? I have to like it myself. PS: What is one thing you would want non-musicians to know about your craft? That I do not simply write songs and sing them. by clicking this link here. Voting closes by 6th November 2016, 6.59am. So show your support and start clicking today. The awards show will air live on MTV (StarHub TV Ch 533 and Singtel TV 350) on Monday, 7 November at 4am in Singapore with a repeat on the same day at 9pm.